Well, for the first day in May we have some hazy sunshine and it is not raining! It is still quite cold though. May is the month to start sowing outside and hardening off seedlings to plant out when the soil becomes warm enough. Is anyone else getting a sore neck from gazing at the sky, wondering when the sunshine will return? I have a bit of a backlog in the greenhouse. 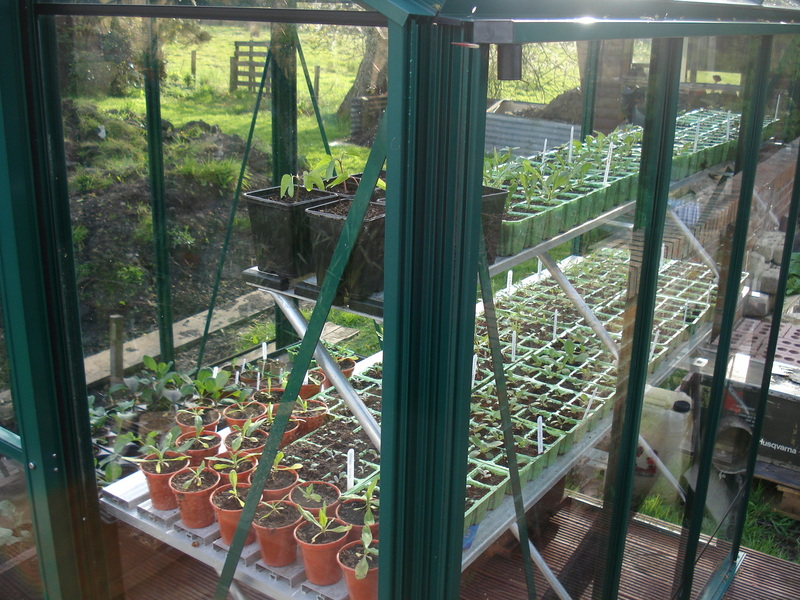 Lots of plants successfully germinated in March are ready to go into cold frames (which have not been built yet!) but after what happened in April I fear for their future if I put them outside. 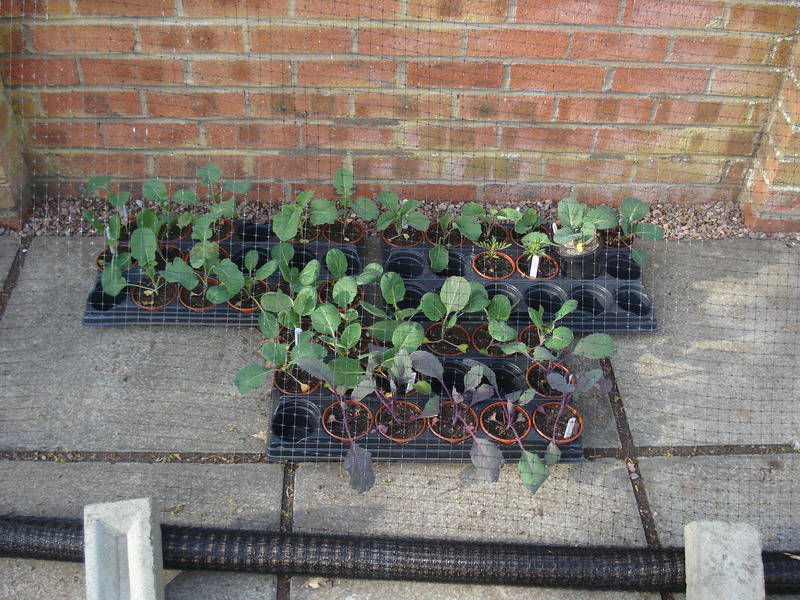 Brassicas outside but kept under a net just to be on the safe side! I put the brassicas out during the day and put them back inside at night but not only is there still a risk of frost damage, the slugs have slithered out of hibernation (do slugs hibernate?) and are starting to nibble. It’s like living in a war zone! Anyway, I have checked the books, encyclopedia, manuals, handbooks and magazines and here is a summary of what we should all be doing in the month of May. Keep haunching up potatoes – we have still to sow the maincrops which should really have been done last week but I’m sure one week won’t make a huge difference. Put in supports for peas and beans. We use the prunings (or whips) from the apple trees – the ultimate in upcycling! Finally, remember to sit down and enjoy your hard work! I am going to grow tomatoes, peppers, chillies, aubergines and okra in the greenhouse. I have brassicas, leeks, shallots and celeriac ready to plant out but will probably wait until the second half of the month. I have sown some peas outside as well as beetroot and parsnips but I also plan to sow beans, spinach, Florence fennel and swedes. So it is shaping up to be a busy old month! This entry was posted in General and tagged brassicas, brocolli, brussel sprouts, carrot root fly, food, frost, gardening, nature, strawberry runners. Bookmark the permalink.